Wire-O bound book. Custom cover with foil. 50inside pages. 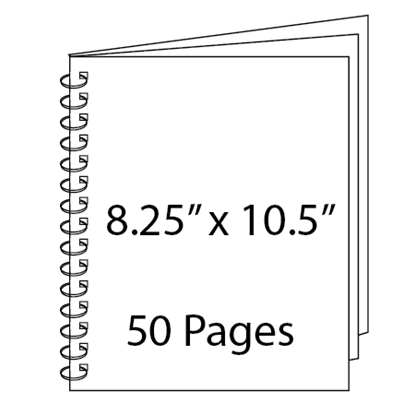 White and lined inside pages are 70# paper. Black pages are 60# paper.